On Monday the Bloesem team made our way down to the heart of Kuala Lumpur for an #EtsymeetsMalaysia social media influencers event we co-hosted with Etsy yesterday. A big thank you to everyone who managed to join us despite the downpour and insane traffic (one take away from this trip: don't underestimate KL's peak hour traffic, we learnt that the hard way) and not forgetting our gracious location and food organizer, LOKL for being the most accommodating and friendly bunch around. Having done most of the planning over email and from Singapore, the LOKL team were a big help in ensuring everything went smoothly. We met so many friendly faces from Malaysia's very own group of social media influencers and thanks to the rain we all enjoyed a very cosy indoor candle making session taught by our very own Bloesem team member, Mei Kwee. We'll be back with more snaps from the event but we just wanted to make a quick post to once again thank Etsy for giving us the opportunity to work with them again! The Etsy team's energy is infectious and so inspiring, we look forward to working together in the close close future.. Sorry about the lack of posts everyone, we were off taking a little Deepavali break but not to worry posts will go on as per usual for the rest of the week..
We had such fun working with the friendly Etsy team on their Etsy Meets Singapore event back in July, so we are delighted to share that we will be back for more at Etsy Meets Malaysia! An absolute haven for unique handmade items, Etsy will be heading to KL in a week or so, for a couple of other events as well such as Sellers’ Event, to get to know and share with the creative scene. 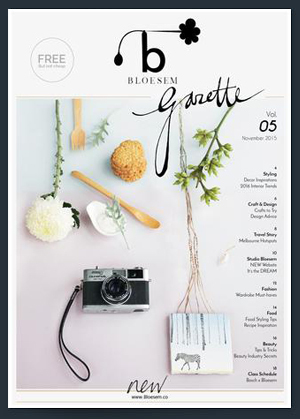 Bloesem is very honoured to have the chance to once again partner with them to organise Etsy Meets Malaysia specially for press and social influencers. We have an eventful day planned out for our invited guests! Look forward to a fun-filled afternoon of treats, activities and all that handmade good fun - including our very own candle-making class.. how great is it when you can pick and combine the different essential oils to achieve the perfect scent you have been looking for. Have some handmade items of your own and have been toying with the idea of joining Etsy? We say go for it. It’s the perfect place for sellers and buyers to exchange such goodies, and also to get to know a whole new community! We can’t wait to get to meet some of you at Etsy Meets Malaysia. Hope to see you then! In May we had the privilege of working with the Etsy team on hosting an event while they were here for #EtsymeetsSingapore. We are sure many of you are familiar with Etsy, the online marketplace where many buy and sell unique handmade items. Sharing with the creative scene in Singapore and meeting up with many current Etsy sellers and buyers, the team helped many learn how they could become Etsy affiliates. Current Etsy users also brushed up on tips to help them to better use the platform. For the event held at the new Bloesem headquarters, not only did we get to work with the friendly Etsy team, we also partnered up with local brands like Fresh Pressed juice and Popaganda for treats for our guests. Thanks to Rebecca Toh, we can look back fondly on images of the day! Shall we take you on a short trip down memory lane? The day started off with bottles of freshly pressed FP juices. Healthy and refreshing, always a great beverage for the Singapore heat. Hidhir, a local musician we were introduced to, provided the perfect acoustic vocals to entertain the guests as they grabbed some refreshments and mingled. We realized that live music is always a great idea for such events! He really set the tone for the entire day. The Etsy team presented their Spring/Summer 2015 catalogue and shared more about their affiliate program. An endless flow of yummy snacks kept everyone's tummies satisfied..
To promote the handmade movement in Singapore, the Bloesem Team decided to host one of our favourite Bloesem classes, Candle-making, during the event. Using soy wax and botanical essential oils, participants were able to make candles with their favourite scents to take home as a keepsake! These cold treats were a hit.. Shockingly healthy, the Popaganda popsicles, are made with local produce and contain no dairy or preservatives. Totally guilt-free! A great way to wrap up the event. We want to extend a BIG thank you to the Etsy team for being a joy to work with and for everyone who attended the event! It was an absolute pleasure to work with FP juice, Popaganda and Rebecca Toh our favourite photographer. Everyone left with a belly full of tasty goodness and a self-made candle.. If you have not experienced the wonderful world of Etsy, we would highly suggest it! If you are a creator, become an Etsy affiliate.. or if you just like supporting and buying handmade items, Etsy is the best place for that. Don't take our word for it, have a go at it yourself.. you won't be disappointed! The Bloesem Team have been long time shoppers and enthusiasts of Etsy, so hosting this event was definitely a dream come true for us! For all the long time lovers of peer-to-peer platform for buying and selling handmade and vintage items, we are so happy to say that Etsy is coming to Singapore! The Etsy team will be coming down to the our little red dot from the 18 to 28 May 2015. While they are here, they will be organizing a few different events to spread the word about Etsy, as well as to meet up with current Etsy sellers and hopefully future ones too..
Bloesem is very honoured to be working with Etsy to host a private event for press and social influencers in Singapore to get to know Etsy better. We are looking forward to an eventful day full of treats and activities with the participants who have RSVP. If you have received an invite, we do hope we will be seeing you then! If you have been toying with the idea of joining Etsy to start selling your handmade and vintage goods to people around the world, this is the perfect opportunity! Etsy is offering a promo code to new sellers to open your own Etsy shop without any listing fees for the first 20 items. Just enter ETSYMEETSSINGAPORE when you visit the Etsy promotions page. We've planned a fun-filled afternoon - feasting, festivities and of course no Etsy event would be complete without some hands-on crafting fun! We'll be teaching the participants how to create their very own scented candles.. our favourite craft to do with a group of friends. It's incredibly fun to pick and combine the different essential oils to come up with something that everyone loves. However if you won't be joining us during the Etsy event, fret not! 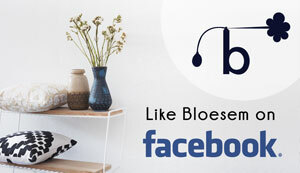 Bloesem candle making class makes a come back this summer with our 2 classes in June and July. Though we do have to warn you, this class is selling out fast, one of the classes is almost fully booked.. so don't wait too long before you grab your spot. Some of you may know that we have left Tiong Bahru (WHY? You ask ... read about it here ), but that’s not the end of Bloesem! Let's start off the week with something to look forward to this weekend - The Rush & Crush tent sale organised by DREAM interiors at its showroom and the car park space in front of it. Make a day out of it and head down for food, drinks, local designers and also a huge sale on DREAM's designer furniture and accessories. Admission is free, just click here to RSVP. You may recognise some of the vendors who will be there at the event.. many of our local favourites! Read on to see who'll be there..
Partners of the event include F&B innovators such as Bazuka Yakibuta, Preparazzi, Meat Saucery, Bird Bird by Artichoke, Satay Boy, The Papa Shop, Momolato, Cocoloco, Spinacas, Fish Sh-nack, and more. Also at the event: Magpie Magazines, Gnome & Bow, Flea & Trees, Fictive Fingers, Cavalier, The Weekend Warrior, Shiok SG, Typesettingsg, and other notable local retailers and designers will be showcasing their pieces! If that's not enough excitement for one event, DREAM has also invited renowned design mavens such as the likes of PHUNK, Eeshaun from Gardensilly, Lydia Yang from Oak & Bindi, Teresa Lim from Teeteeheehee, and Melvin Ong from Desinere, to feature some of their illustrations and products at the event. This is a not to be missed 2-day event! So grab a friend or a bunch or even bring mom along, we're sure she would love a good tent sale this Mother's day. Mom can even do some furniture shopping at DREAM.